The all new Honda Insight is as beautiful as it is efficient. With an airy, sporty aesthetic the Honda Insight boasts a staggering 55 city miles per gallon. The battery pack is tucked away under the rear seats so you dont have to compromise trunk space for fuel efficiency. The Insight comes standard with the Honda Sensing Suite of Safety and Driver-Assistive Technologies, Multi-Angle Rearview camera, and Bluetooth HandsFreeLink. *The 2019 Insight has been awarded the coveted 2019 TOP SAFETY PICK+ rating from the Insurance Institute for Highway Safety (IIHS) in recognition of its crash-safety performance. 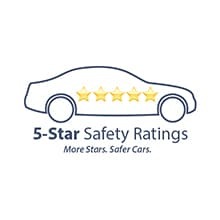 *We're proud to announce that the 2019 Insight has received a 5-Star Overall Vehicle Score from the National Highway Traffic Safety Administration (NHTSA).